There’s nothing like a delicious margarita at the end of a long, hard day. But have you ever heard of a margarita cookie? Imagine all the best things about a margarita—the saltiness and the fresh lime flavor—but in a fun cookie form. Sounds great, right? 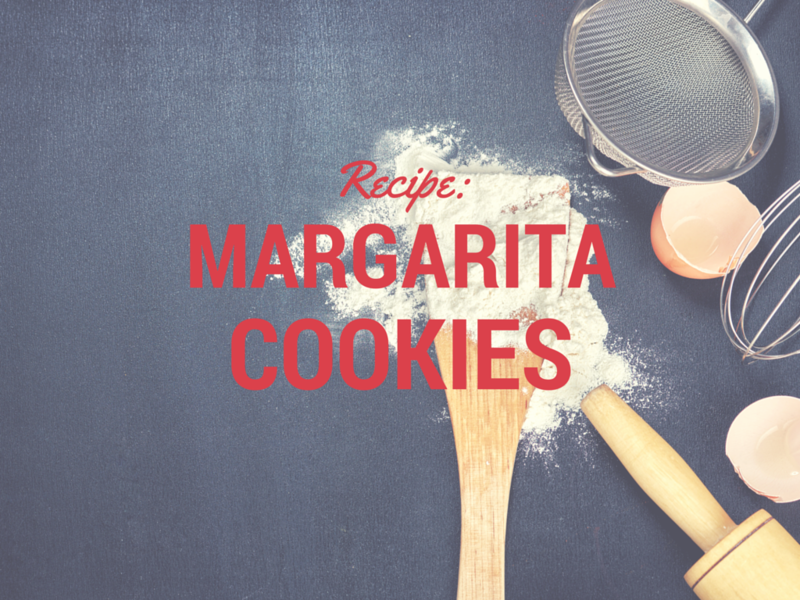 Well, now you can make your very own margarita cookies at home. And the best part? They can be made into a family-friendly version that doesn’t incorporate alcohol. Of course, if you’re entertaining for adults, go ahead and add that splash of tequila for an extra kick. In a small bowl, start by mixing the flour and salt until well combined. Then, in a larger bowl, beat the butter and granulated sugar together until smooth and creamy. Add the egg, food coloring, orange extract, and grated lime peel and mix well. Gradually fold in the flour while mixing until you have a ball of dough. Next, split the dough in half and roll each ball into a long log, wrapping in wax paper and popping in the fridge for at least an hour to allow the dough to become firm. When the dough is ready, go ahead and preheat your oven to 350 degrees. While it’s heating, combine the sanding sugar and salt, then roll each log of dough through the mixture. Use a sharp knife to cut each log of dough into slices and place on a non-stick baking sheet. Bake the cookies for 15 minutes, or until the cookies are just starting to brown around the edges. If you’re doing the tequila glaze, whip it up by mixing all three ingredients until smooth. While the cookies are cooling on a rack, drizzle the glaze over them with a spoon. Allow to harden and then enjoy. You can also make a nonalcoholic version of the tequila glaze by simply replacing the tablespoon of tequila with an additional tablespoon of water. It won’t be quite as flavorful, but it’s a family-friendly way to enjoy a glaze on these already-delicious cookies. These margarita cookies are one of the best Mexican dessert ideas you’ll ever try! And when it comes to Mexican dessert recipes, it really doesn’t get much easier than this. Be sure to check our blog for more great recipes and head to your local Macayo’s for traditional Mexican fare the whole family will love.